A while back I read the book by Dan Schaeffer entitled “Restored! 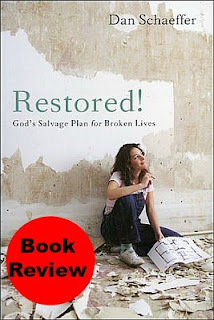 God's Salvage Plan for Broken Lives”. When I saw it was using the Biblical book of Ruth to make his points, I was a bit skeptical as I had never heard Ruth taught in this way, but I enjoyed his insights and how he wove practical application into this book while providing examples from the Bible. It is the rare person who hasn't had some major loss or hurt in life, so this is a book for everyone. Each one of us has reason to do as Naomi did and asked to be called Mara. (In the Hebrew this means bitter.) We can take a look at our lives, the broken pieces, the shattered dreams, and the disappointments and say “My life is a mess. Nothing will ever improve.” and eventually become bitter ourselves. In this book, Schaeffer leads us through character strengths and weaknesses, bad decisions, desires that are changed and how Naomi is restored. When something is restored, it may not be exactly the way it was before, but is beautiful and of value. He gives an example of a table he found at a garage sale that was stained and in overall poor condition. Schaeffer took the time to sand the table, tighten up the hinges, and stain it until it's a beautiful piece he can proudly display. As was done with Naomi, that very same restoration can take place in us. This reminds me of some of my friends. Some of them are as different from me as can be, sometimes annoy me to no end, but they push me along in areas that I otherwise wouldn't want to pursue. 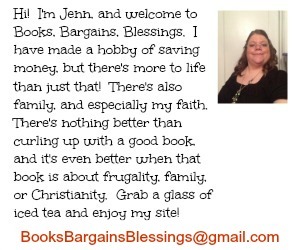 You can purchase this book at Amazon or Christian Book. I would like to read the Grief—Strength for the Soul. I liked Discovery House Publishers on FB! I would like to read Mighthy Acts of God with my students in Sunday School. I would love to read Praying with Confidence — Renewing Your Trust and Joy in God. Defining Moments would be great! I think that Jungle Pilot by Russell Hitt sounds like a good book too. One thing that catches my eye is the book: God's Thrifty Extravagance- What the Bible Says about Money... seems apropiriate in these times! I also would like to read "Dear God It's Me and It's Urgent". I would love to read The Chronicles of Narnia. I watched the movie and would now like to read the book. Power Up - Diamond Edition! I like Our Daily Bread Yearly Devotional Volume 2.